Take advantage of Life Kit's other useful guides to help you get it together. Also, please take our survey! 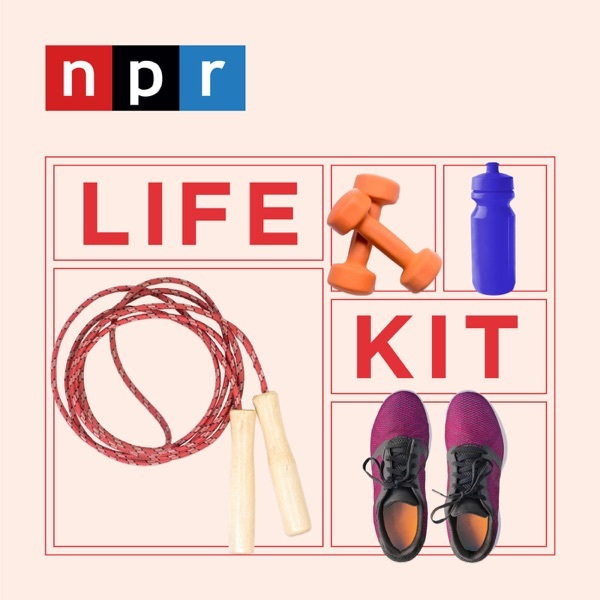 It's at npr.org/lifekitsurvey. It'll help make the show even better. A lot of us love to hate exercise. In these episodes, we talk to the experts about how to think differently about exercise so that it fits right into your life, for good. Just thinking differently about moving your body can help make all those excuses disappear — and we have science to back it up.Here's what to remember:- Find a form of exercise you like.- Everything counts when it comes to movement.- Even short bouts have real, measurable benefits.- The more you move, the stronger you get — but you have to start somewhere.- Use the immediate payoffs as motivation. Falling off the exercise wagon more than you'd like? These strategies, based on economics and the science of habit formation, can help. Plus, you get to binge-watch TV. Here's what to remember: - In less than a month, you can cement a workout routine. - Use temptation bundling. - Set realistic goals. - Let flexibility be your friend. - Make it social. - Put some money on the line. If you've got 22 minutes, you can get an effective whole-body workout. Ruth Bader Ginsberg's personal trainer walks us through an interval session and explains the science behind effective exercise. Here's what to remember:- High intensity interval training maximizes your workout in the shortest time.- Weight training is crucial for preventing injury. - Include stretching to stay strong.